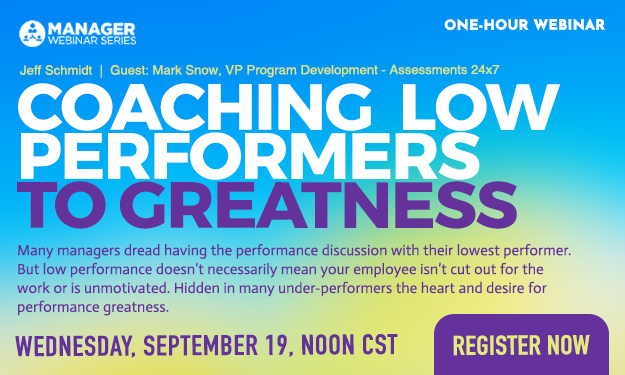 Many managers dread having the performance discussion with their lowest performer. But low performance doesn’t necessarily mean your employee isn’t cut out for the work or is unmotivated. Hidden in many under-performers the heart and desire for performance greatness.